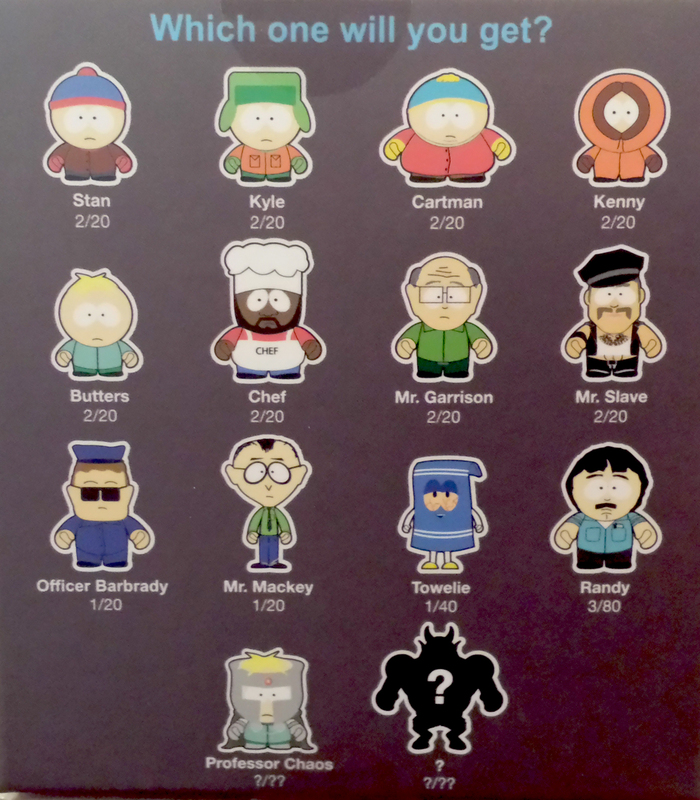 For my very first box, I was really lucky and managed to get Professor Chaos! 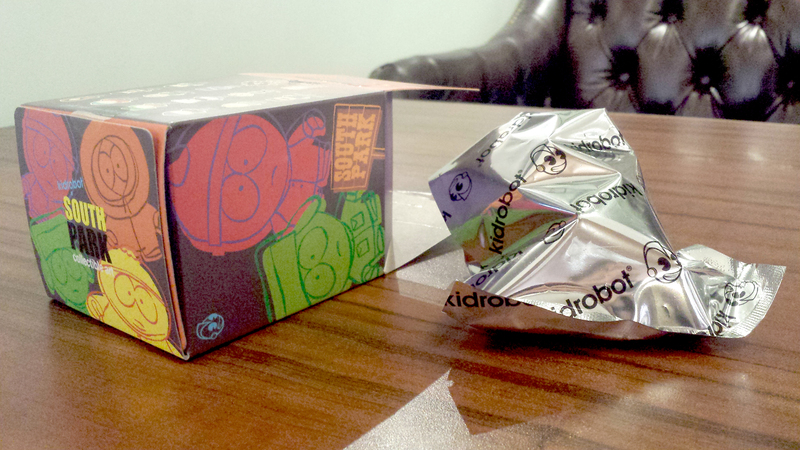 As you can see, the probability of picking up Professor Chaos is unknown. He is probably quite rare! 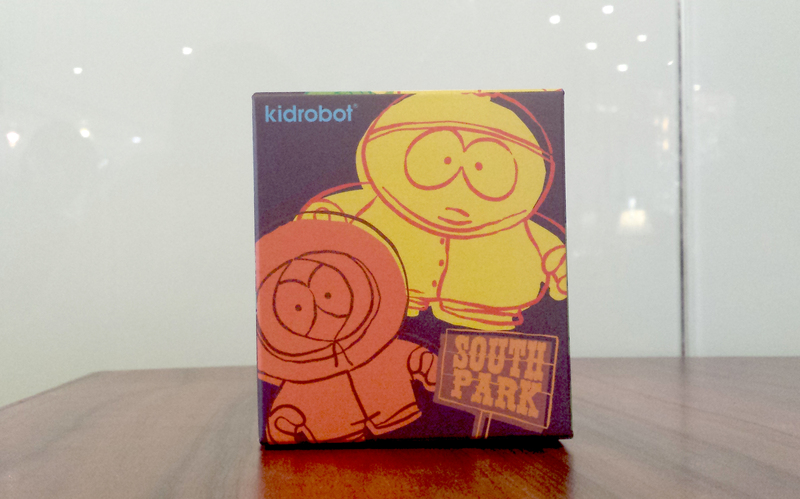 This is my second box, and I was really hoping to get Eric Cartman! 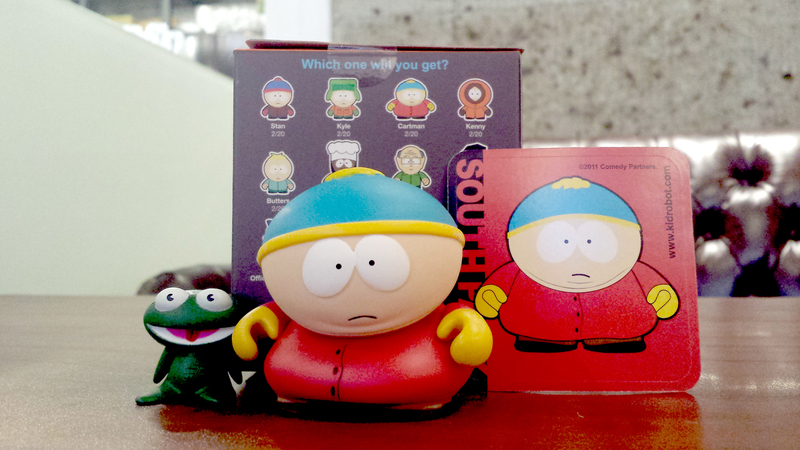 I GOT ERIC CARTMAN!!!!! AND HIS FROG! 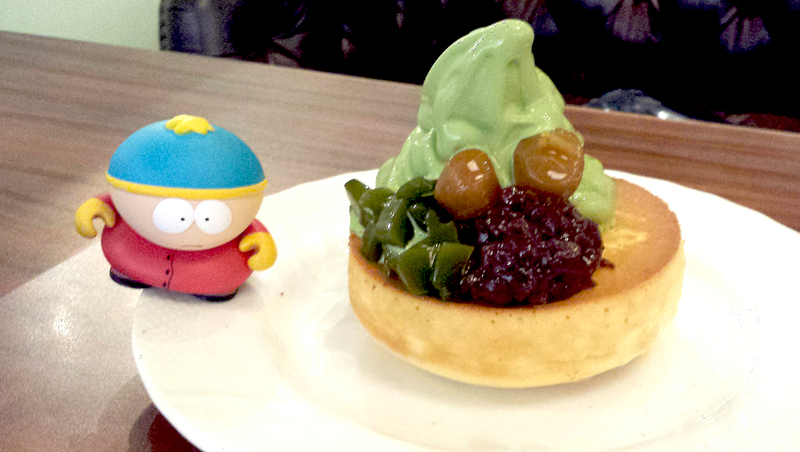 Here's Eric Cartman with a random matcha souffle pancake. HAHA.